The controversy, which erupted Wednesday when attentive Russian bloggers discovered the airbrushing, further stoked anger over the church’s often lavish displays of wealth and power. 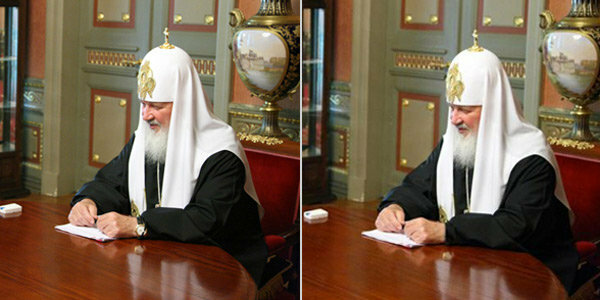 So, basically this creep is working to ban homosexuality in St. Petersburg in the name of morality, while stealing the peoples’ money to enrich himself and wear king-like jewels. Then he and the church blatantly lie about the watch and botched cover-up. Have these disgusting hypocrites no shame? Will someone arrest this thief and put him in jail?